the spoiler action has been interrupted for some witty 'n' waggish humour, so strap in and enjoy. I just wanted to rebroadcast this old 4Chan post which I thought was oddly peculiar and amusing. King Leonidas of Sparta and King Xerxes of Persia playing Magic: The Gathering . .
Leonidas : Playing a Plains. Passing the turn. Xerxes : Tapping a Swamp, playing Dark Ritual, playing Delirium Skeins, each Player discards 3. I play 3 Basking Rootwallas for free. Your turn. Leonidas : What in Hades ? ! ? ! Let me see that card ! Stephen Hawking : And that Gentlemen was how the universe began . .
We have a total of 8 (!) 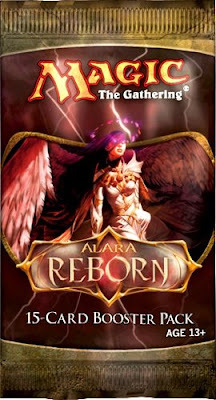 Alara Reborn Spoilers for you today. On the weekend, of the community peeps received a Magic Player's Reward oversize card in the mail. 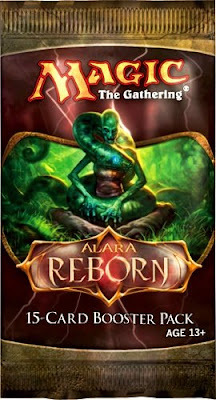 To his (and our) surprise, it was a card from the yet-to-be-released Alara Reborn set. Duh - of course we are going to spoil this - thanks Wizards ! Perhaps because I am fairly new to the game that I do not really understand oversized cards. Why ? Can you actually build an over sized deck ? Can you even shuffle these puppies ? Would clowns like these ? Personally - they are just cardboard to me with as much significance as the box of Korn Flakes I'm looking at right now. Anywho - Less rant and more spoiler eh ? Spellbreaker Behemoth can't be countered. Nice ! I don't think that this will be seeing much action however except in a Naya Stompy sideboard against a control blue but hey - every card has it's place - even Grizzly Bears. 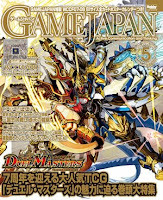 The next few are taken from the most recent edition of Game Japan. At the beginning of your upkeep, put a Wing counter on target creature. Each creature with a Wing counter on it is 3/1 and has flying. 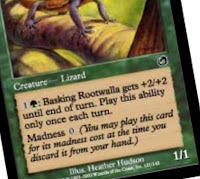 Hey - this could be good in the right deck but I am not holding my breath for this card to take a strong position in casual constructed. Very nice - Esper now has Knights. This 2 drop swings as a 2/4 with the exalted abilities. I see Sigiled Paladin being picked over this one but I know that players will find a home for this Knight. Tar Shards deals 4 damage to target creature. Umm - interesting. We can now chalk up our very first Shards of Alara mechanic here - 'Double Cast'. This instant will timmy for 4 damage AND bring out another spell (for 4 or less) onto the board for free. I am going to have to think about just how evil I can make this card. Choose target player. Name a nonland card. That player reveals his or her hand. Exsanguination deals 3 damage for each card with that name in that player's hand to that player. Remove cards with that name from that player's graveyard, hand and library. That player then shuffles his/her library. Some may start to compare this as a much more expensive Runed Halo but remember that this MAY pain your opponent for 3 (or more). I'm thinking that this will see some play. Here we have another twist on the cycling mechanic - Forestcycling, and Plainscycling. I see some weird but deadly deck which features this card, Knight of the Reliquary and a bunch of Eventide 'Retrace' cards. If you would draw a card, reveal the top three cards of your library instead. Put all creature cards revealed this way into your hand and the rest on the bottom of your library in any order. This may be a good card with a whole lot of unreasonable conditional terms. Waaay too many conditions must be in place for this card to work well. Hello again HYBRID ! ! So, it's a 2/4 four drop critter with double strike. Not many will complain about this card. If you hear someone say 'what about Flame Javelin' - tell them they are just unreasonably greedy. Happy Saturday morning to all. Hope your FNM or other Friday night activities were fun and without incident. I tossed a coin and went with a Naya stompy / Realm Razor build over the Fae / Fish last night and went 2-1 to Top 8 where I was crushed - still, considering a good turnout of close to almost 30, I guess I cannot complain. Right - Are you thinking what I'm thinking ? Yep - Perhaps they should have installed full windows at the Boa Constrictor Zoo display. Other than that, it appears to be some odd union with a Naya serpent and a Grixis Zombie. The Zombie almost does look to have the appearence of a Vedelkan mage however . . . what's your guess here ? Here is the next Booster Pack - in this image, we can clearly see a Bant Knight who shuned the conventional Leotau Mount for a larger Naya beast. This perhaps may be prudent given the conflux of shards and ensuing battles with hoards seeking out new mana sources. We have seen this Angel before - check out the previous MTG Realm post on MTG iGoogle Themes. This image still has the community scratching their collective head. One popular speculation is that this is Asha freshly returned after many years of planeswalking / self-exile (?). Enjoy - stay tuned for more hot spoiler action and wild speculations (hopefully some more news on Zendikar is forthcomming). WoTC launched a new Retail Locator on January 26, 2009 which uses slick Google Map tech. 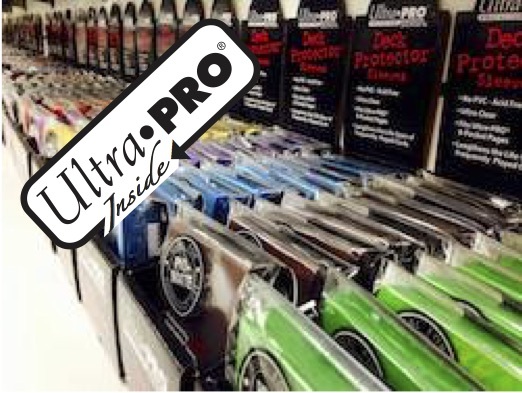 Stores may be identified on the map by store types (such as Hobby, Premier or Mass market) and contact details are provided for each. Dungeons & Dragons Events (such as Delve Night, Worldwide D&D Game Day, and tther D&D events). All this new tech is great but this site just painfully reminds me that I have to drive almost a full hour from Forks to Port Angeles (Washington) just to buy MTG cards at the Wal-Mart store OR drive / take the ferry to Seattle (a 3 hour trip) just to take in a Friday Night Magic event . . . wah. You may remember our recent post in January about the MTG iGoogle Themes to personal your own Google home page. Well - we just got a LOT more - including a few never seen before images. If you are a gamer, you can get a HUGE variety of other iGoogle Game Themes to pimp your desktop. For a look at just the Magic the Gathering Theme, here is this LINK. Have a look at these absolutely gorgeous graphics . . .
CNET article - for yer reference . .
Easter is approximately 2.5 weeks away, and being a Christian (and a father of three), I am already making plans for this holiday. 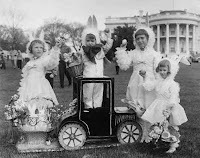 I've noted that details on the 2009 White House Easter Egg Roll are already up on the White House webpage. As I am not an American, this annual event (happening since 1878 under President Rutherford Hayes) is somewhat interesting to an outsider. If you have to have extra tickets and air-fare to D.C. for my family of 5, drop me a line. As I typically operate on several mental levels (especially after coffee), I cannot think of Easter Eggs as simply a holiday cofectionary or brightly painted egg. I will, of course, think of the other Easter Egg as well. An Easter egg is a secret feature hidden in a piece of media by its author or designer. We most often find this in software applications and the like. 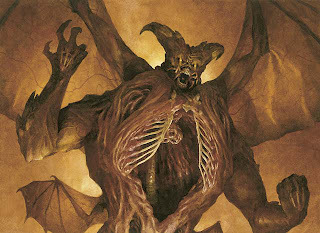 In Magic the Gathering, it simply becomes a thing of beauty or sometimes if you see it, you will . . . (you know what). 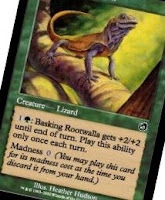 For a most excellent article from 12/11/2006 by Doug Beyer, check out this WoTC linky. Anywho - this particular 'Easter Egg' takes place right in plain sight on the Time Spiral card Liege of the Pit . . . Let's have a look. Yep - that's right - that is not a vital organ but a collection of screaming baby heads. Yeah - that sent shivers down my spine too - Absolutely great work by artist Jeremy Jarvis. Not sure if Liege of the pit will be making another appearence in the upcomming special set 'Divine vs Demonic'. Some of you may have heard rumours about the new fall set, code-named "Live" due out in October, 2009. This set would be the first in the "Live" block ("Live, Long, Prosper"). 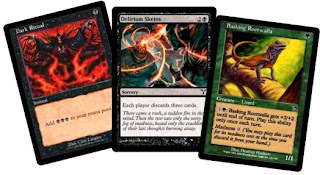 A new US Pattent Office trademark filing from Wizards was submitted on 3 March, 2009 and the MTG Realm spoiler department has been following this lead ever since early March. 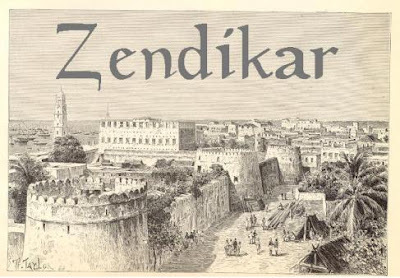 The trademark applied for was "Zendikar". This now has been confirmed as the name of the new fall set today on Magic Arcana. The name, the logo, the slogan thingy has the feel of a far flung place. A place sort of like this . 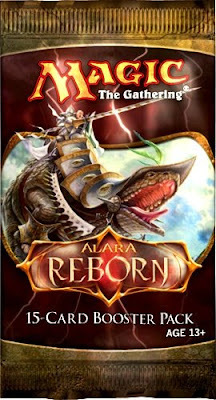 . .
Wizards of the Coast, in their trend to provide the best card-art ever, ensured that even the Alara Reborn pre-release / release posters show beautiful epic art. Let's check these out. 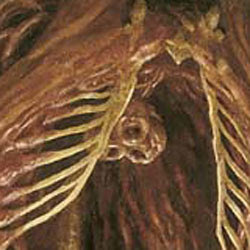 The first image shows a creature which is undeniablly similar to that of Dragonsoul Knight. I strongly believe that this image is simply just art and nothing intended or destined for a card. This image obiviously is showing a battle between Shard Bant and Shard Grixis. Angels and a knight (perhaps even our legendary Rafiq ?) are engaged in a nasty mellee. It appears that Malfegor is engaged this this battle as well. In the hazy background, there is a suggestion of Naya Elves riding a massive battle behemoth into the fray. Could this Angel be Asha ?